Dr Slape completed his Ph.D. studies at The Queen Elizabeth Hospital campus of The University of Adelaide Department of Medicine in 2003, on a project involving the mapping of breakpoints of leukemic chromosomal translocations under the supervision of Dr Alex Dobrovic. Dr Slape then did post-doctoral work at the National Cancer Institute at the National Institutes of Health in Bethesda, Maryland, USA where he worked in the laboratory of Dr Peter Aplan. Here he generated and characterised the NUP98-HOXD13 mouse model of myelodysplasia, the first mouse model of this disease and still one of the best and most-used around the world. Returning to Australia in 2008, Dr Slape worked at the Bone Marrow Research Laboratories at the Royal Melbourne Hospital, where he initiated projects investigating molecular and cellular aspects of myelodysplasia utilising the NUP98-HOXD13 mouse model. One of these was the study of the role of apoptosis in transformation of myelodysplasia to acute leukaemia. In May 2013 he moved to the Department of Biochemistry and Molecular Biology at Monash University, to work on the basic science behind the promising leukemia therapeutic antibody KB004. From 2016, Dr Slape is a research leader at the University of Queensland Diamantina Institute. Dr Slape’s research career has had two primary objectives: to understand the mechanisms of transformation of chronic pre-leukemia conditions to acute leukemia, and to investigate the disease stem cells in pre-leukemia conditions to find therapeutic targets for both phases of haematological disease. The NUP98-HOXD13 transgenic mouse is an ideal model toward both ends; the mice have symptoms of MDS from birth, but only progress to acute myeloid leukemia (AML) after six months, and are therefore an ideal model to study the molecular events necessary to drive transformation from chronic to acute disease, or to study aberrantly self-renewing stem cells in isolation, prior to transformation. Towards the first objective, Dr Slape has performed and published studies identifying spontaneous drivers of this transformation to disease, and also artificially driving transformation using a retroviral mutagenesis screen to identify induced oncogenic gene expression events. His apoptosis work has resulted in the paradigm-shifting discovery that apoptosis drives transformation of the disease to acute leukemia, where it has hitherto been thought of as a protective mechanism against cancer. Aspects of the second objective run throughout work directed at the first, but have come to the fore in his current work targeting disease stem cell interactions with their modified environment, and the role this plays in promoting their self-renewal. The current work aims to disrupt these interactions to evict the stem cells from the niche, assisting existing therapies to eradicate disease. The Eph receptors and their ephrin ligands play important roles in cell migration and positioning. Their varied expression patterns in many types of malignancy suggest tumour suppressive, oncogenic and aberrant self-renewal functions depending on mode of downstream signalling, which in turn depends on mutation status, ligand-bound state and receptor/ligand density. The niche is crucial for allowing the perpetual self-renewal of haematopoietic stem cells throughout the life of the organism. It is comprised of multiple cell types (osteoblasts, megakaryocytes, endothelial cells, etc), the proportions of which change during leukaemia, as the disease cells "remodel" the niche to conditions favourable to harbouring leukemic stem cells over healthy HSCs. Targeting stem cells is the next frontier in therapeutics, and the specific interactions of these cells with the remodelled niche are attractive targets because of their disease specificity. Self-renewal is a defining property of stem cells; it allows a cell to divide without differentiation, meaning that it is essentially immortal. It is also a defining property of cancer stem cells. When cancer goes into remission, the stem cells are the cells that survive and initiate relapse. Therefore combining novel therapies that target disease stem cell self-renewal with standard chemotherapy drugs may improve relapse-free survival. We are working to target these pathways. The homeobox genes come in two categories: the Hox genes, which exist in four clusters and are expressed in a collinear fashion during embryonic development, and the orphan homeobox genes, which are scattered through the genome and perform a variety of functions. Both types of homeobox genes play important roles in haematopoiesis and leukemia; in particular, the HoxA cluster and some orphan homeobox genes that act as transcriptional co-factors for the HoxA genes, are over-expressed in certain classes of AML. The NUP98 gene, in addition to its role of nuclear transport, is the most promiscuous gene affected by chromosomal translocations in leukaemia; it has been reported to fuse with at least 28 different partner genes. Many of these are homeobox genes (although more are not), and retain the DNA-binding domain from the homeobox partner. This led to the suggestion that NUP98 was contributing transcriptional activation motifs to the fusions, and this has been supported by recent evidence that normal NUP98 also plays an unexpected role in transcription in the healthy cell. We aim to elucidate the mechanisms of this transcriptional regulation in both health and disease. The NUP98-HOXD13 mouse model developed by Dr Slape is widely used by academic researchers and pharmaceutical companies alike, to aide in the development and analysis of treatment options for myelodysplasia. 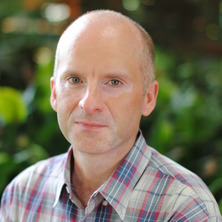 Dr Slape's work using the model has also produced research impact: one of the first studies to implicate the Mn1 gene as a powerful driver in leukaemia; the discovery that the increased apoptosis seen in myelodysplasia actually drives transformation rather than protects against it, which has real implications for approaches to therapy; and his current working testing agents that interfere with stem cell-niche interactions has translational potential, utilising an agent that is already in clinical trials. The latter work uses this and other models to directly inform the ongoing trial, optimising protocols and understanding mechanisms. Leukaemia cells and leukaemia stem cells interact with cells in their microenvironment in ways that we are only beginning to understand, but which are important for the cell's survival and self-renewal ability ("stemness"). Using mouse models of disease, RNA sequencing, flow cytometry and other methodologies, this project aims to identify such interactions that are specific to the disease state and may therefore be effectively targetable by therapy. Nucleoporins are proteins responsible for shuttling various cargo in and out of the nucleus. Surprisingly, they have recently been show to also play a role in the regulation of transcription in the cell, as a scaffold protein for other transcriptional regulators. This has shed light on the already known role for nucleoporins, specifically NUP98, in leukaemia. Involved in many different fusion proteins formed by chromosomal translocation, it is now understood that the NUP98 sequences retained by the leukemogenic fusion proteins contribute somehow to transcriptional activation. Using a variety of cloning constructs, mass spectrometry and protein chemistry, we will identify the proteins that interact with different forms of NUP98 and other nucleoporins, and investigate avenues by which this knowledge may be applied therapeutically, with testing performed in mouse models of disease. Self-renewal is a key property of stem cells of all kinds. It allows cells to divide without differaentiation, remaining phenotypically intact in perpetuity. Self-renewal is acquired or maintained inappropriately by leukaemia stem cells, in ways that are measurable by various laboratory assays. We will conduct a genome-wide unbiased screen for genes that, when activated or inactivated, can suppress this inappropriate activity in a leukaemia model. Having identified one (or several), we will go on to investigate the mechanisms by which the suppression occurs test the extent to which the supression can be applied to other models. This is a basic research project that could have important, novel therapeutic applications in the future. Slape, Christopher I. (2014). EphA3 is expressed on leukemia stem cells, and Eph/Ephrin signalling features in the remodelling of the leukemia stem cell niche. In: 56th Annual Meeting of the American Society of Hematology, San Francisco, United States, (). Dec 06-09, 2014. Guirguis, Andrew, Curtis, David J., Slape, Christopher, Saw, Jesslyn, Wei, Andrew H., Failla, Laura M., Bouillet, Philippe and Strasser, Andreas (2013). Puma Is The Critical BH3-Only Protein Mediating Apoptosis In The Nup98-HoxD13 (NHD13) Mouse Model Of Human MDS. In: Blood. 55th Annual Meeting of the American-Society-of-Hematology, New Orleans La, (). Dec 07-10, 2013. Beachy, Sarah H., Onozawa, Masahiro, Chung, Yang Jo, Slape, Christopher, Bilke, Sven, Francis, Princy, Pineda, Marbin, Walker, Robert L., Meltzer, Paul S. and Aplan, Peter (2011). Enforced Expression of Lin28b Drives Development of Peripheral T Cell Lymphoma In Vivo. In: Blood. 53rd Annual Meeting and Exposition of the American-Society-of-Hematology (ASH)/Symposium on the Basic Science of Hemostasis and Thrombosis, San Diego Ca, (608-608). Dec 10-13, 2011. Greenblatt, Sarah M., Li, Li, Slape, Christopher, Novak, Rachel L., Duffield, Amy S., Bao Nguyen, Huso, David, Borowitz, Michael J., Aplan, Peter and Small, Donald (2011). Knock-in of a FLT3 Internal Tandem Duplication Mutation Cooperates with a NUP98-HOXD13 Fusion to Generate Acute Myeloid Leukemia. In: Blood. 53rd Annual Meeting and Exposition of the American-Society-of-Hematology (ASH)/Symposium on the Basic Science of Hemostasis and Thrombosis, San Diego Ca, (394-395). Dec 10-13, 2011. Slape, Christopher I., Saw, Jesslyn, Failla, Laura M., Aplan, Peter D., Jane, Stephen M. and Curtis, David J. (2010). Dissecting the Mechanism of Apoptosis and Leukemic Transformation In Myelodysplasia. In: Blood. 52nd Annual Meeting of the American-Society-of-Hematology (ASH), Orlando Fl, (268-268). Dec 04-07, 2010. Greenblatt, Sarah M., Li, Li, Slape, Christopher, Huso, David, Aplan, Peter D. and Small, Donald (2009). Knock-in of a FLT3 Internal Tandem Duplication Mutation Cooperates with a NUP98-HOXD13 Fusion to Generate Acute Leukemia in a Mouse Model. In: 51st Annual Meeting of the American-Society-of-Hematology, New Orleans La, (1156-1157). Dec 05-08, 2009. Identification of Genes That Collaborate with CALM-AF10 to Induce Leukemia by Retroviral Insertional Mutagenesis and Candidate Gene Sequencing. Caudell, David, Pierce, Rachel M., Harper, David P., Novak, Rachel L., Slape, Christopher, Wolff, Linda and Aplan, Peter D. (2008). Identification of Genes That Collaborate with CALM-AF10 to Induce Leukemia by Retroviral Insertional Mutagenesis and Candidate Gene Sequencing.. In: Blood. 50th Annual Meeting of the American-Society-of-Hematology, San Francisco Ca, (1296-1296). Dec 06-09, 2008. Slape, Christopher, Liu, Leah Y. and Aplan, Peter D. (2007). Leukemic transformation in mice expressing a NUP98-HOXD13 transgene is accompanied by spontaneous mutations in receptor tyrosine kinase pathway genes. In: 49th Annual Meeting of the American-Society-of-Hematology, Atlanta Ga, (482A-482A). Dec 08-11, 2007. Choi, Chul Won, Chung, Yang Jo, Slape, Christopher and Aplan, Peter D. (2007). A NUP98-HOXD13 fusion gene impairs differentiation of T and B lymphocytes. In: Blood. 49th Annual Meeting of the American-Society-of-Hematology, Atlanta Ga, (779A-780A). Dec 08-11, 2007. Chung, Yang Jo, Choi, Chul Won, Slape, Christopher, Fry, Terry and Aplan, Peter D. (2007). A NUP98-HOXD13 fusion gene induces a transplantable myelodysplastic syndrome in mice. In: Blood. 49th Annual Meeting of the American-Society-of-Hematology, Atlanta Ga, (125A-125A). Dec 08-11, 2007. Retroviral insertion tagging identifies Mn1 as a specific collaborator of NUP98-HOXD13 in a murine model of leukemogenesis. Slape, Christopher, Hartung, Helge, Lin, Yingwei, Bies, Juraj, Wolff, Linda and Aplan, Peter D. (2006). Retroviral insertion tagging identifies Mn1 as a specific collaborator of NUP98-HOXD13 in a murine model of leukemogenesis.. In: Blood. 48th Annual Meeting of the American-Society-of-Hematology, Orlando Fl, (410A-410A). Dec 09-12, 2006. Cheng, Y, Zhang, ZH, Slape, C and Aplan, PD (2005). A human SIL-SCL fusion gene displays a development block at the CD4- CD8- to CD4+ CD8+ transition in transgenic mice. In: Blood. 47th Annual Meeting of the American-Society-of-Hematology, Atlanta Ga, (794A-794A). Dec 10-13, 2005. Slape, C, Lin, YW, Bies, J, Wolff, L and Aplan, PD (2005). Acceleration of leukemogenesis in NUP98-HOXD13 transgenic mice by infection with the MOL407OLTR virus, and identification of collaborating genes. In: Blood. 47th Annual Meeting of the American-Society-of-Hematology, Atlanta Ga, (457A-457A). Dec 10-13, 2005. Lin, YW, Slape, C, Zhang, ZH and Aplan, PD (2004). NUP98-HOXD13 transgenic mice develop myelodysplastic syndrome, acute myeloid leukemia, and pre-T lymphoblastic leukemia. In: Blood. 46th Annual Meeting of the American-Society-of-Hematology, San Diego Ca, (102A-102A). Dec 04-07, 2004.